Would you believe that our Declutter Challenge is more than halfway over?! Thank you all so much for joining me this month as we have been going through our houses. 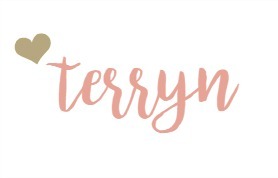 I don’t know about you, but I feel so good knowing that the little work I am doing each day is leading up to a big difference in the feel and look of my home. I feel a little calmer and more relaxed too, don’t you? 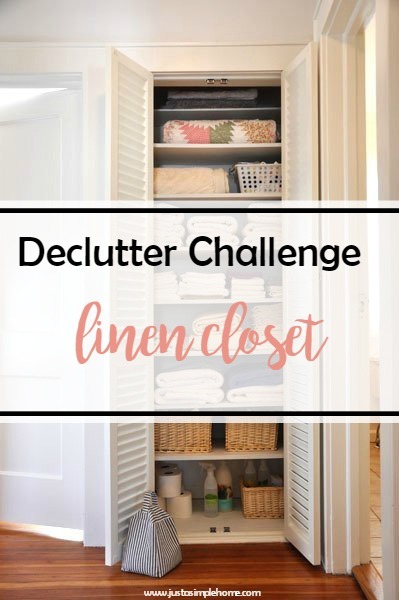 Today we are looking at our Linen Closets…that is the area of your home where you likely keep your sheets, towels, and washcloths. Empty and clean out the closet or shelving. Explore options for maximizing storage space. 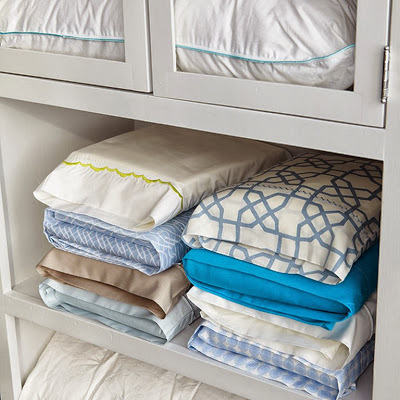 You likely have everything you need to store your linens already, so check your home first. We are decluttering, so try not to go out and buy something you truly don’t need. 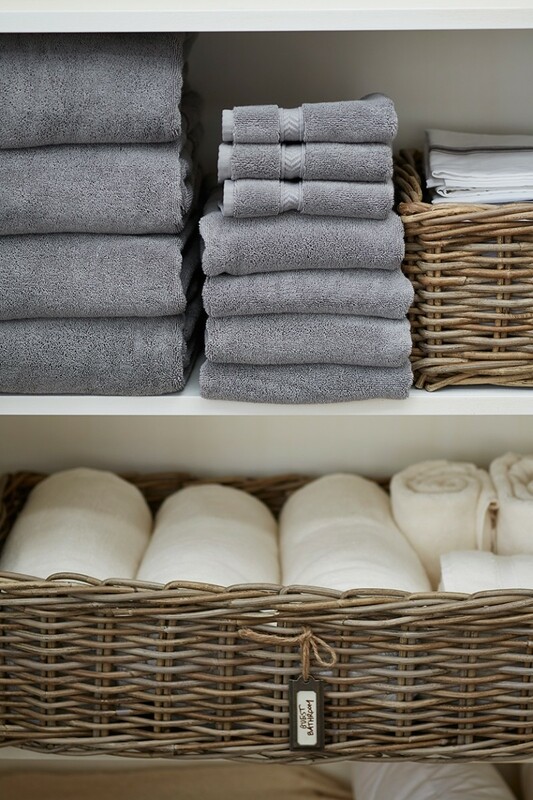 Decide how many items you need in each category – I find that one towel per person works well in our home. I also found we had an abundance of sheets, so I donated quite a few sets. I kept 2 sets per bed – one for spring/summer, one for fall/winter. I also kept one set that was pretty worn out so I can cut it up and make some cleaning rags from it. Put everything back in an orderly way. Linen closets are very easy to clutter again if things do not have a proper place. Consider baskets for towels, and labels for all your baskets. I am inspired to do this this week. Moved in a year ago to a new home and feel everything just got placed, not organized. Redoing everything a little at a time. What a great challenge. I love decluttering I always feel so light and free when everything is in order. This used to be a complete struggle for me! I used to think I needed several sets of sheets for bed sizes I did not have anymore for the sake of maybe one day… Now my only problem is towels. We use towels quite often in our home for various things. So for two people, we seem to have a lot. I have cut it down a little, but could probably cut it down more. This is definitely an area on my de-clutter list. I know I have some things I need to get rid of. We didn’t join your challenge but just found out we will have to move soon so will be decluttering a ton! I hope my end result looks as nice as yours! Thanks Lauren! We are a few weeks in, so you could always go back and start from the beginning!